District, PHS, Community Ed: 125 Highland Ave. Horizon: 411 S. Highland Ave. The Plymouth Education Foundation's new Grants program will provide seed money to fund innovative initiatives that enhance the educational experience for students in the Plymouth School District. The Foundation's Grants program will directly impact students and help prepare them to become successful in life and make a difference in our community/society. Grants are awarded to Plymouth School District Staff. Students in the Plymouth School District and members of the Plymouth Community who have Grant ideas are encouraged to contact the Foundation by calling 920-892-2661 ext. 1008 or emailing info@plymouthedfoundation.org to schedule a meeting with the Foundation and Assistant Superintendent/Director of Curriculum to discuss Grant ideas that may be appropriate for PSD Students and/or Plymouth Community Members to partner with PSD Staff. The Foundation's Grant program is funded by the Foundation's donors. Please refer to the Foundation's Donate page for additional information on how to make a donation to support the Foundation's new Grants program. The Plymouth Education Foundation is a 501(c)3 non profit organization who is dedicated to enhancing the educational experience for students enrolled in the Plymouth School District. The Foundation awards grants on an annual basis in the areas of: Academic Enrichment, Extracurricular Activities, Professional Development, and Connecting Students With Their Futures and Community. The Foundation seeks to promote and fund educational initiatives that enhance innovation, leadership, and excellence for students enrolled in the Plymouth School District, but are not part of the school district’s budget. Grants are awarded to Plymouth School District Staff. 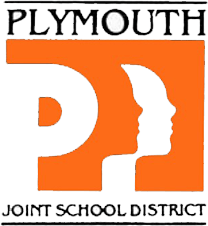 Students in the Plymouth School District and members of the Plymouth Community are encouraged to partner with Plymouth School District Staff to apply for grants. The success of the Plymouth Education Foundation Grants are focused on innovative educational initiatives that have high visibility, meaningful impact, and led by a passionate individual or team of individuals who are committed to making an innovative idea a reality to directly benefit students enrolled in the Plymouth School District as it relates to academic enrichment, extracurricular activities, professional development, and Connecting Students With Their Futures and Community. To encourage innovation, excellence, and leadership in the Plymouth School District, the Plymouth Education Foundation established Grants Funds in 2015-16 to invest in new or enhanced ideas, initiatives, and programs that benefit current and future students in the Plymouth School District today and into the future. These investments, or Grants Funds, will support and advance the mission of the Plymouth Education Foundation, which is to enhance the educational experience for students enrolled in the Plymouth School District. As well as, support the goals and priorities outlined in the Plymouth School District’s strategic plans, building goals, and curriculum. For more information about the foundation, please visit www. plymouthedfoundation.org. For more information about the district’s strategic plans, goals, and curriculum please visit the district’s Pillars of Excellence at http://www.plymouth.k12.wi.us/Schools/DIS/index.html. Similar to a venture capital fund, the Plymouth Education Foundation will provide seed funding for educational initiatives that are new or enhance an existing program. The Foundation is looking for innovative ideas that have high visibility and meaningful impact. You may apply for funding, each year, for up to three years for the same grant, but then you must take a one-year hiatus. However, please note, multiple year funding is not guaranteed. The Foundation’s Grants Funds may be used for a wide variety of educational initiatives including Academic Enrichment, Extracurricular Activities, Professional Development, and Connecting Students With Their Futures and Community. The Foundation encourages innovative ideas that are new or expand interdisciplinary clusters, build community and industry partnerships, support entrepreneurial student ventures, and prepare students to succeed in life. The Foundation supports educational initiatives that benefit our schools and our community. To be successful, it is important to share these new ideas and initiatives, celebrate successes, and learn from experiences including both the expected as well as the unexpected. The Plymouth Education Foundation encourages participation, collaboration, and sharing the outcomes of the funded educational initiatives to inspire innovation, leadership, and excellence in our schools and our community now and into the future. Grant proposals will be accepted for projects that creatively enhance the educational experience for students enrolled in the Plymouth School District in any academic discipline. Projects that are sought will be innovative, highly visible, and have meaningful impact reaching multiple classrooms, cross disciplines, or involve more than one school. Projects are encouraged that are new or expand interdisciplinary clusters and build community/industry partnerships. Grant proposals will be accepted to support education or training of student and/or coach participants in extracurricular activities are defined as those involving performance, publication, or competition in which students represent the school and do not receive academic credit. These may include interscholastic athletics (but not intramural athletics), school organizations that have competitions, put on performances, or produce publications where the group represents the school as part of the competition, performance, or publication. NOTE: Grant Funds may not be used for operating expenses such as uniforms, equipment, or travel. Grant proposals will be accepted to support teachers/staff in programs or training that enhance the educational experience and directly benefits students enrolled in the Plymouth School District. Consideration will be given to high quality/credibility of program, total number of teachers/staff attending, degree of speaker/presenter connection to district strategic plan, curriculum, and building goals, and commitment/plan of attendees to share the information in a timely and effective manner with all relevant teachers/staff and students in the district. Grant proposals will be accepted for projects that support innovative learning opportunities for students enrolled in the Plymouth School District that excite and prepare them for their futures as career and college ready. Consideration will be given to programs/projects that encourage students to learn from “real life” experiences, to increase their understanding of and challenge their thinking about the world around them, support entrepreneurial student ventures, and help students be prepared to succeed in life and make a difference in the community/society. Interactive Shakespeare workshops lead by American Players Theatre for all students in language arts classes. Multicultural music program called “Exploring the Global Soundscape.” Presentations at each school, an evening presentation for families, and flute building workshops. 7th and 8th graders learning about and creating hand-made string instruments. Purchasing binoculars to enhance second graders study and research of local birds. Materials for “Building Your Core…Vocabulary” program designed to support the needs of languageimpaired students. Start a student club or organization. Community field trip experiences for students with cognitive disabilities. Supported expenses of a student-built super mileage car, which will be entered into local and national competitions. Classroom makeover contest. Students created design boards for educators’ classrooms and implement the winning design. Off-set start-up expenses of a student-run café, which gives students hands-on experiences in learning about financial literacy, employability, and entrepreneurship. Income from the café is reinvested in the business and also will fund other creative learning opportunities at the school. Healthy breakfast options as part of the “Jump Start” program. Poetry Slam for middle and high school students competing against each other with high energy performance poetry. New Freshman Focus program designed to help get freshmen started on the right path to success in high school. “Girls On Track” is a program that combines training for a 5K run/walk with curriculum to help girls develop self-respect and healthy lifestyle habits. Education or training of student, coach, and/or advisor in extracurricular activities. Online professional development for the district’s speech and language pathologists. Week-long summer professional development opportunity for math educators to increase their conceptual understanding of math topics and increase their confidence and teaching math to their students. Teachers, Staff, and Administrators in the Plymouth School District. Students and Community members in partnership with a Teacher, Staff, or Administrator in the Plymouth School District. PSD Students and Community Members who have grant ideas are required to first contact the Plymouth Education Foundation Executive Director. The Foundation Executive Director will schedule a meeting with the PSD Student or Community Member, Foundation Executive Director, Foundation Grant Committee Chair, and the PSD Assistant Superintendent/Director of Curriculum to discuss grant ideas that may be appropriate for partnership with PSD Staff. The PSD Teacher, Staff, or Administrator will be the lead applicant for the Grant. Funds are available for a wide variety of projects including: launching new academic programs, developing new interdisciplinary clusters, building community and industry partnerships, supporting entrepreneurial student ventures, or funding new ideas that benefit our schools and our community. Projects are expected to support the Plymouth Education Foundation’s mission, which is to enhance the educational experience for students enrolled in the Plymouth School District. In addition, projects are expected to advance one or more of the Plymouth School District’s strategic plans, building goals, and curriculum. Ideas can include adaptation of existing strategies to support students in new ways as well as the development of brand new ideas. Applications will be evaluated based on the potential impact on achieving the goals of the Plymouth School District strategic plan, support of the Plymouth Education Foundation mission statement, level of innovation, and potential for success. Projects that include collaboration between schools/interdisciplinary clusters and partnerships with the community and have high visibility and meaningful impact on students are encouraged. Teachers, Staff, and Administrators in the Plymouth School District. Students and Community members in partnership with a Teacher, Staff, or Administrator in the Plymouth School District. PSD Students and Community Members who have grant ideas are required to first contact the Plymouth Education Foundation Executive Director. The Foundation Executive Director will schedule a meeting with the PSD Student or Community Member, Foundation Executive Director, Foundation Grant Committee Chair, and the PSD Assistant Superintendent/Director of Curriculum to discuss grant ideas that may be appropriate for partnership with PSD Staff. The PSD Teacher, Staff, or Administrator will be the lead applicant for the Grant. Are there a set number of grants and amounts to be awarded each year? There are no set number of grants that will be funded; judges attempt to balance funds through the grant application judging rubic. Project funds should be based on the needs of the project. Budget allocations will be based on the quality of the applications and availability of funds. The total amount of funds for grants each year is determined by the Foundation’s Finance Committee and approved by the Foundation’s Board of Directors during the Foundation’s annual budget approval process in May/June. Can I apply for more than one grant at a time? While you may submit as many grant applications as you have ideas, the Plymouth Education Foundation will award not more than two grants per applicant. What if my program extends over multiple years? The Plymouth Education Foundation provides seed money for innovation, leadership, and excellence educational initiatives that have high visibility and meaningful impact and should not be considered a resource for ongoing funding. Applicants may apply for funding, each year, for up to three years for the same grant, but then you must take a one-year hiatus. NOTE: multiple year funding is not guaranteed. If I am awarded a grant, when will I receive funding? The District is given the funds from the Plymouth Education Foundation for distribution in June for use the following school year. Recipients may choose to purchase their supplies immediately or wait until the school year begins. Grantees need to carefully track expenses and save receipts for transparent and accountable use of grant funds. NOTE: Any unused funding needs to be returned to the Plymouth Education Foundation by August before the start of the next school year. Grant recipients are required to submit a final report to help the Plymouth Education Foundation ensure transparency and effective grant making and data collection. If an applicant who is awarded a grant does not submit a final report, then the applicant may not apply nor will be considered for future grants. The Plymouth Education Foundation does not reimburse for previously incurred expenses. If I am awarded a grant, what happens if the scope or intent changes from what was originally stated in the awarded/approved application? Any changes made to an awarded/approved grant must be submitted to the Foundation Executive Director who will provide the revised scope/intent to the Selection Committee for approval. If my application is denied, may I reapply? If your application is denied, you may reapply the following year. Although, if there are specific reasons your application was denied, the applicant will be expected to revise the application based on the Foundation’s Grant Selection Committee’s feedback. Are there any types of requests the Plymouth Education Foundation will not fund? The Plymouth Education Foundation does not fund anything that does not support the mission of the Plymouth Education Foundation, which is to enhance the educational experience for students enrolled in the Plymouth School District. In addition, the Foundation does not fund anything the Plymouth School District nor Plymouth School Board do not deem appropriate and aligned with District strategic plans, building goals, and curriculum. Judges look carefully at requests for technology and the extent to which they can be supported by District Information Technology Staff. Becoming Innovative Resourceful Designing Students (BIRDS) Projects: $2, 531 to applicants Fairview teachers Chris Helmer and Brenda Schwaller to benefit all elementary schools. One Book, Many Families, One Community: $1,160 to Horizon teachers Lori Brown, Judy Woelfel, Kaitlyn Beck and Jackie Murphy and Horizon media specialist Melissa Costello to benefit all elementary schools and the community. Personalized Learning Flipped Classroom: $3,750 to sixth-grade teacher Bradley Mey and fifth-grade teacher Kelly Lugonjic to benefit the fifth and sixth grades. Imagination Building a STEAM Curriculum: $4,481 to gifted and talented coordinator Jennifer Marten to benefit gifted and talented students in grades 1-4 and Parkview students in grades 2-4. Visiting Artisits and Art Enrichment Series: Applicant was Lisa Keys-Dulmes; PHS impact expected; $3,000 award. One Book One Community: Plymouth Chapter: Applicants were Community Education & Recreation director Kathryn Murray and Plymouth Public Library director Martha Rosche; expected to impact Community Ed & Rec, Riverview Middle School and PHS; $2,000 award. Theater Technology and Design Course Professional Support: Applicant was Janet DeJean Newton; PHS impact expected; $1,675 award. Improved Recycling Attitudes and Practices: Applicants were PHS biology teacher Tina Henriksen and PHS head custodian Bob Mueller; districtwide impact expected; $1,000 award. “Our mission is to encourage everyone to see and be his/her personal best through successful learning experiences. Become your best!"